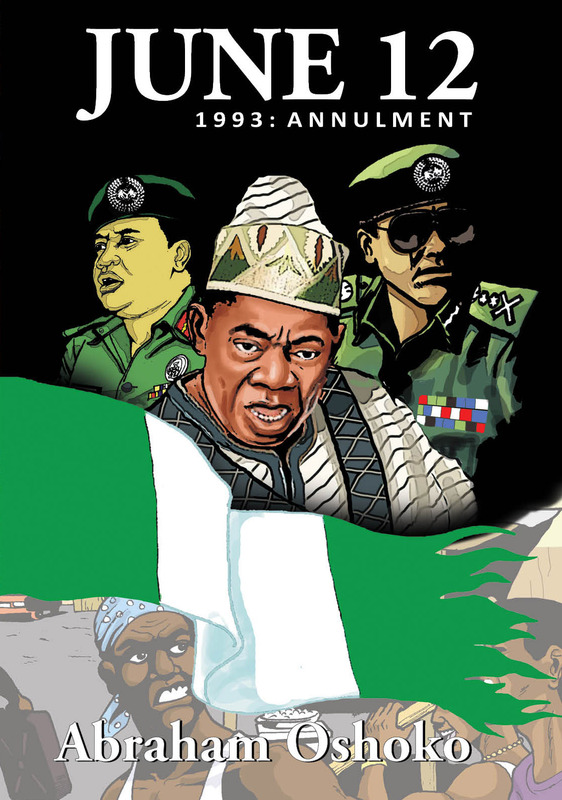 Kachifo Limited, publishers of Farafina Books, is proud to announce the forthcoming release of JUNE 12, 1993: THE ANNULMENT the second installment in the historical graphic novel series by Abraham Oshoko. The book tells the important and intriguing story of one of the most important days in Nigeria’s history, June 12 1993 and the events surrounding it. Release date is June 12, 2013. On the 12th of June 1993, a presidential election, adjudged free and fair by an overwhelming majority of observers, took place in Nigeria. A few days after, its results were suspended; and barely a week later, Nigerians were given a new word to add to their vocabulary, ‘annulment’. Quintessence, Falomo Shopping Complex, Ikoyi. The Hub Media Store, The Palms Shopping Mall, Lekki. Patabah, Shop B18, Adeniran Ogunsanya Shopping Mall, Surulere. Glendora, Ikeja City mall, Shoprite, Lagos. Okoziko World Books, Local Airport, Departure Lounge, Ikeja. L&C Place, C19, Winnies Plaza, Abacha road, Mararaba, Abuja. Readers Are Leaders Bookshop, Ceddi Plaza, Abuja. Rainbow Bookshop, 20 Igbodo Street, Old G.R.A. Hidden Treasure bookstores, Enugu 07065693233. Boldoz bookstores, 21,Afaha Uqua Road, Eket,Akwa-Ibom. When I heard Chimamanda Adichie was writing a new book that drew heavily from hair and race as themes, I was excited for two reasons: first, because the bibliophile in me lives for everything Adichie writes; and second, because race and hair are familiar territories as an ex-member of the African diaspora in America. Indeed, one of my first adult memories of America involves both hair and race. Although I was born in America, my family moved to Nigeria when I was child, and I spent all of my adolescent years there. When I returned to America for university, I found that adjusting to the culture change was not as easy as I had imagined it would be. I will never forget the puzzled look on one of my Caucasian-male friends’ face when I sat next to him in the cafeteria one day during those first few weeks. I had just gotten a weave put in my hair, and it turns out he was wondering how my hair had miraculously grown so long since the previous day. I laughed and began to mumble something about the versatility of black hair when an African American female who was sitting across from us fired, “Don’t come here with yo’ African self tryna think you black!” It was then that I first realized being American and being African, did not give me a membership card to the African-American club. On the surface, Americanah is a riveting love story between high school sweethearts, Ifemelu and Obinze, that starts in Lagos during a time of military dictatorship. With Obinze, Ifemelu was “at ease; her skin felt as though it was her right size.” The two are separated when Ifemelu moves to America amidst ongoing university strikes in Nigeria. In America, Ifemelu becomes aware of race, falls in love with her natural hair, explores an interracial relationship and becomes a prominent blogger. Obinze, on the other hand, moves to England where he battles loneliness and struggles to make a living working under the table jobs after overstaying his visa: “[he] lived in London indeed but invisibly, his existence like an erased pencil sketch.” Eventually, the two reunite in Lagos, where Obinze has become a ‘big boy’ and Ifemelu is struggling to carve a new career after being away from home for 13 years. In the end, Ifemelu and Obinze must make a very difficult decision. But Americanah is more than a love story: it is a social critique and a dissection of the politics of identity. What is genius about Americanah is that almost anyone can find something to relate to in it: there is no doubt that this novel will appeal to an even broader audience than Adichie’s previous work. However, the virtue of Americanah–its ability to cut across 3 continents and multiple subject matters–may also be its vice. The book attempts to do too much by cramming so many complex topics (race, politics, hair, class, interracial relationships, the immigrant experience, nouveau Lagos, etc) into one story line. Several of her full-length blog posts with titles like: ‘To my Fellow Non-American Blacks: In America, You Are Black, Baby’ and ‘A Michelle Obama Shout-Out Plus Hair as Race Metaphor’ are included in the book. After a while, reading the blog posts can become cumbersome (they reminded me of all the assigned reading I had to do in law school for a critical race theory class). Also, at some points in the novel, the hair angle seemed forced (for starters, why was Ifemelu getting braids to go to Nigeria aka the land of cheaper and better braids?) and proselytistic. Interestingly, religion is subtly critiqued and slightly caricatured where explored: characters are found fasting themselves to sickness and diagnosing evil spirits. Yet, the literary quality of Americanah is preserved despite its overt political tone and near nihilism. The characters are so fully developed and believable that you might think Adichie has met your friend, relative, classmate, or hair dresser. Unlike Purple Hibiscus and some of the stories in The Thing Around Your Neck, there is no unfinished business in Americanah. One leaves the novel at least certain of its conclusion, and at best satisfied by it. Perhaps the only questions I had after reading the novel were about Adichie herself. 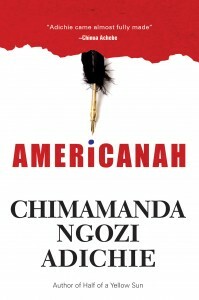 There are pieces of the places Adichie has been littered throughout the book, such as Nsukka, Connecticut, Maryland and Yale. In the 24 hours during which I devoured Americanah, I found myself wondering: did she draw some of the dinner table intellectual banter from conversations she and her Doctor husband have had with their friends? And most importantly: how much of Ifemelu is Chimamanda? In 2009, I had the privilege to meet Adichie during a book signing for The Thing Around Your Neck. Alas, I echo the gratitude I gave her then for Americanah: thank you for giving a voice to the experiences that I have always remembered but sometimes forgotten how to articulate. Farafina Trust will be holding a creative writing workshop in Lagos, organized by award winning writer and creative director of Farafina Trust, Chimamanda Adichie, from August 6 to August 16 2013. The workshop is sponsored by Nigerian Breweries Plc. The Caine Prize winning Kenyan writer, Binyavanga Wainaina, and others will co-teach the workshop alongside Adichie. The workshop will take the form of a class. Participants will be assigned a wide range of reading exercises, as well as daily writing exercises. The aim of the workshop is to improve the craft of writers and to encourage published and unpublished writers by bringing different perspective to the art of storytelling. Participation is limited only to those who apply and are accepted. Deadline for submission is JUNE 12, 2013. Only those accepted to the workshop will be notified by JULY 22, 2013. Accommodation in Lagos will be provided for all accepted applicants who are able to attend for the ten-day duration of the workshop. A literary evening of readings, open to the public, will be held at the end of the workshop on August 16, 2013. 4. A writing sample of between 200 and 800 words.